The Fiat 500 is just like my youngest daughter. It’s so cute, it gets away with stuff other cars couldn’t. Its off-the-charts cuteness factor is undeniable. It’s an adorable, cuddly, giggly toddler of a car, one that wants nothing more than to start the day with playtime and a smile. In fact, it’s been a long time since I’ve driven a vehicle that got more attention or made more people grin than this one, which is odd for a car that’s seen few noticeable changes since it was introduced to the U.S. market back in 2011 and starts well under $20 grand. Most of the head-turners I drive are fresh, flashy and much more expensive. 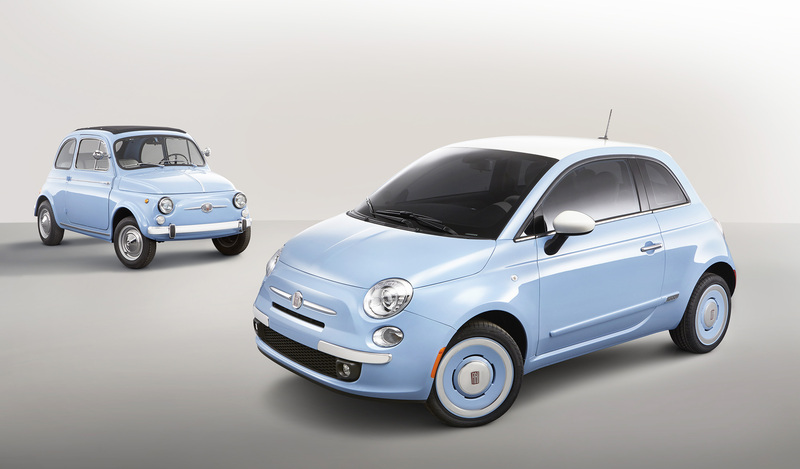 The Fiat 500 1957 Edition, shown in the foreground, draws saying cues from its iconic Italian ancestors. I suspect part of the attention came from the fact that I was driving a 1957 Edition that cranks this car’s cuteness up to 11. It was painted a pastel green called “Verde Chiaro,” with matching color wheels, historic Fiat badges and a white roof and mirror covers that left it dripping with retro appeal. Its over-the-top, huggable styling masks some serious drawbacks, though. With slow and loud acceleration, distracting highway noise, a cabin that feels cheapish in places, only so-so gas mileage for its size and very limited cargo space, this is a car whose top selling point by far is its Italian good looks. Fiat is addressing these downsides in several ways. One is growing the 500 lineup to include a family of vehicles that expand its utility and appeal. 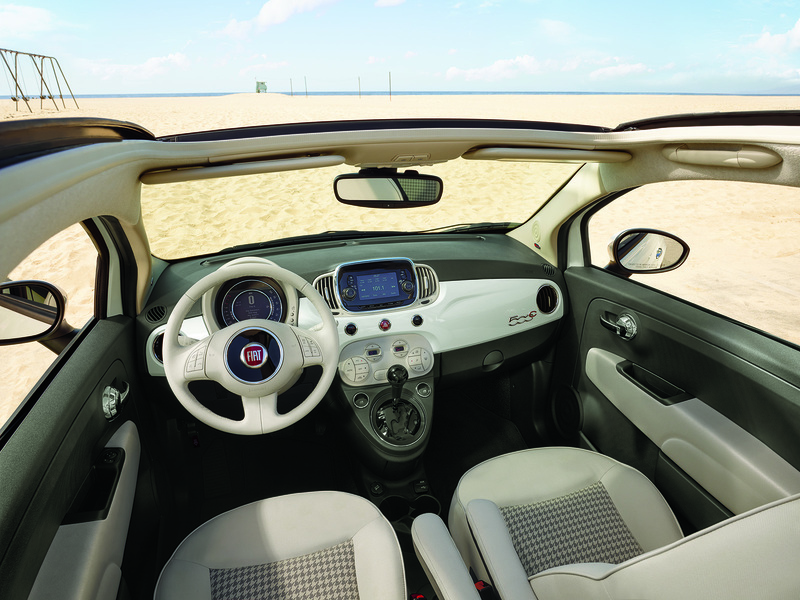 If you want more space inside, there’s the 500L. If you want four doors, a more practical, family-friendly vehicle and a more refined feel over the road, there’s the 500X. The 500 line has a classically styled interior. It also is available with an open-air version with a top that slides to the rear, almost like a convertible, called the 500C. Another change makes it more appealing to your pocketbook. In an unusual and dramatic move, Fiat is dropping the price of the 2017 500 by a whopping $2,000, bringing the cost of the basic Pop trim level under $15,000. Even better, the 2017 500 Pop adds more content at that price, including a digital gauge cluster, 15-inch wheels and chrome trim. With that kind of abrupt change, buyers should expect big incentives for any 2016 models left on dealer lots. Aside from the 2017 price plunge, perhaps the most surprising thing about this car is the appeal of its styling over time. To my eyes, it’s becoming even more attractive as the years go by, which is unusual for retro-look cars. With the reborn Ford Thunderbird, for example, or the Chrysler PT Cruiser, it only took a year or two before the gimmick had run its course and they started to look a bit silly to me. Those cars aged like chain smokers. The 500, though, seems to fall into a category of retro-styled cars that endure the test of time. Like the Ford Mustang and Volkswagen Beetle, the 500 has a timeless, iconic look that just needs to be updated occasionally, never completely going out of style. There’s really one reason to buy this car: it’s adorable. The retro Italian styling makes it one of the cutest cars for sale today.